A multivariate test or MVT is where changes to multiple elements of a web page are evaluated simultaneously. 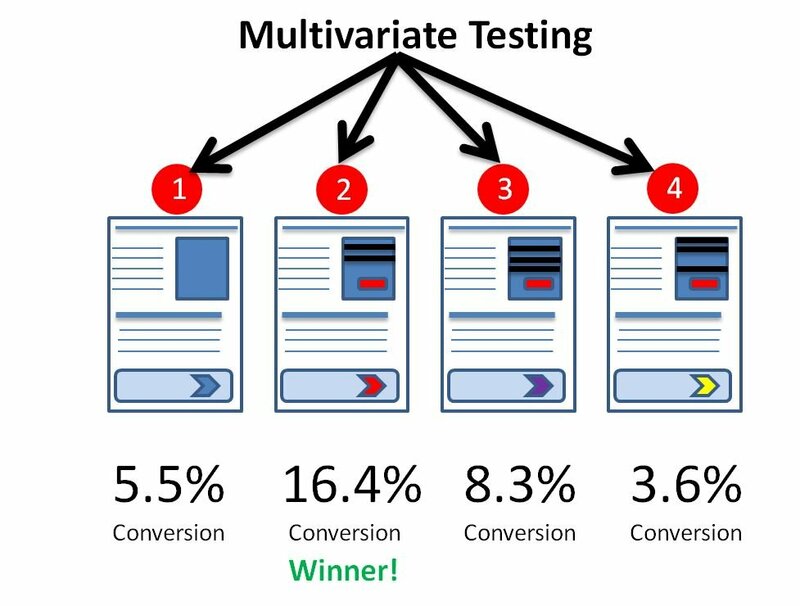 Unlike an A/B test where only one element of a page is tested at a time, an MVT allows marketers to understand the impact of changing a number of elements at once (e.g. headline and image) to identify the best performing combination of these elements. To validate an MVT it is good practice to follow-up with an A/B test of the winning combination to ensure the uplift is real and sustainable. Due to the complexity of MVTs they also require more traffic than an A/B test to reach a statistically significant result. Also see Design of Experiments (DOE) and full factorial.